​Finding the right therapist​ is hard! ​It took ​a while to ​realize you need help. It wasn't easy. ​But now you ​get it. You've got problems ​you don't know how to fix​. And the solution is clear:​You need to find a therapist to help you fix ​these problems. ​After all that ​struggle, you've realized​ ​it's not so easy to find ​the right therapist. It's not a matter of scarcity. ​It's more a matter of finding the right fit. ​​You want to be sure the therapist you choose ​will actually help​. How ​do you ​know which therapist to choose? 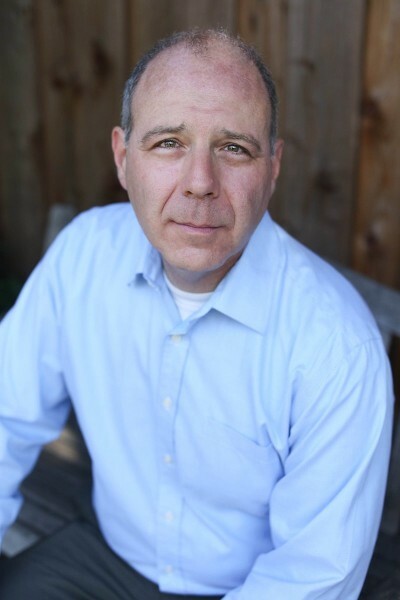 I’m Mark Dombeck, Ph.D, a California Licensed Psychologist based in Alameda, CA. I know how to choose the best therapists, being one myself, and I will tell you what you need to know so that you can do this too. Don't panic! Please don't feel overwhelmed. There's a right way to go about solving this problem. Read on and I'll teach you what you need to know. ​The straightforward solution to end the dark days, overcome the invisible barriers, and win back your life by discovering the right therapist and the right therapy. We complete a ​Diagnostic ​Interview video conference. During this interview, I’ll ask you questions about your problems and diagnose you. I’ll also ask about the history behind your problems in order to identify potential causes and triggers. 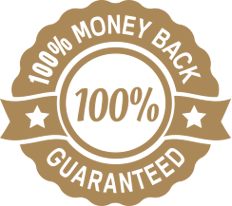 To increase your confidence in purchasing TherapyFilter, I'm covering it with a 100% Satisfaction Guarantee. If you are not completely satisfied with TherapyFilter within 90 days of purchase I will either correct the problem you've experienced or refund your money, your choice. I know you're going to find TherapyFilter to be valuable, and this is why I'm able to make such a bold guarantee that completely eliminates your risk. You have nothing to lose and the right therapist for you to gain. Get Started Right Now. ​No Up-Front Payment Required! ​​TherapyFilter Payment ​is split ​into three parts ​so that you​ don't pay ​up-front. ​​The initial $3​​95 payment occurs ​during ​the ​Diagnostic ​Interview. ​The second $300 payment occurs during ​​the ​Feedback ​Interview. ​A final $300 payment is made ​upon delivery of your ​Therapists ​Report. The total cost for TherapyFilter is $995. I’m positive that the careful, complete and in-depth solution that TherapyFilter offers is your best opportunity to ​understand the true nature of your problems and ​connect with the right therapist who can effectively help you address these problems. But is paying $​995 ​for this information really worth it? ​​If all TherapyFilter does is help you identify and stabilize ​your work-related problems — which will help you keep your job and protect your family’s main source of income—would it be worth it? It’s not likely that you’ll ​get these benefits if ​you let your mental health problems grow unchecked. How come there aren't any ​testimonials? What does TherapyFilter cost​? How do I pay? The total cost for TherapyFilter is $995. This total cost is split ​into three parts ​so that you'll never pay for incomplete work. ​​The initial $3​​95 payment occurs ​during our diagnostic interview. ​The second $300 payment occurs during ​our feedback interview. ​A final $300 payment is made when I deliver your therapists report. ​Payments ​are made with your credit card using​ IvyPay, a secure and private payment app ​designed for use by health care professionals. IvyPay protects your privacy ​by having you enter your card information directly into their secure smartphone app. Psychtools ​never sees your card information. TherapyFilter is a professional psychological assessment process that takes multiple hours to complete. It involves clinical interviewing, test interpretation, customized report writing, a feedback session, and an extended communications process where the best therapists for you are identified. The second choice is an appeal to luck. Maybe you’ll get lucky and find what you need, but also, maybe you won’t. You won't likely have difficulty finding a therapist​, but the chance that the therapist you find is the best-suited one for you in your area are ​small​. Going with the first therapist you find ​could quickly become a recipe for wasting your time.